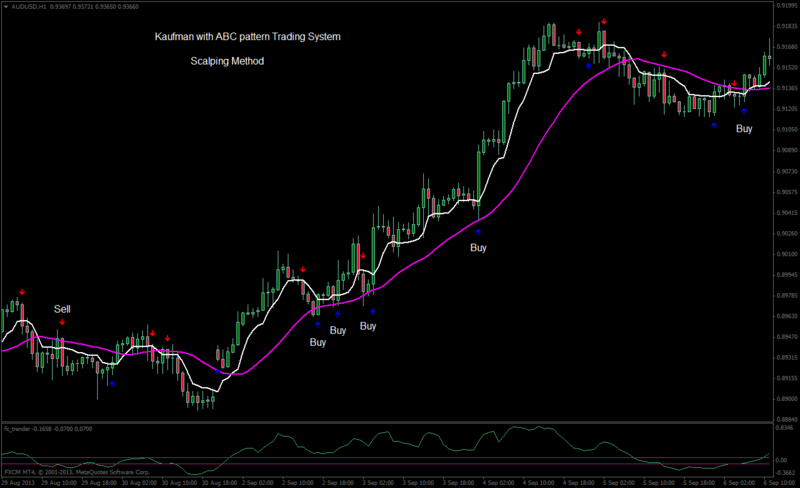 Kaufman with ABC pattern Trading System is an trend following strategy. Only trades in the direction of the trend (remember trend is your friend). The direction of the trend is determined by the Kaufman V.3 indicator: line white > magenta line trend is up; line white < magenta line trend is down. Time Frame H30 min or higher. If these conditions agreed to open a long position at the opening of the next bar. If these conditions agreed to open a short position at the opening of the next bar. example H!1 Time frame: Initial stop loss on the previous swing after 15-18 pips in gain move stop loss at the entry point. 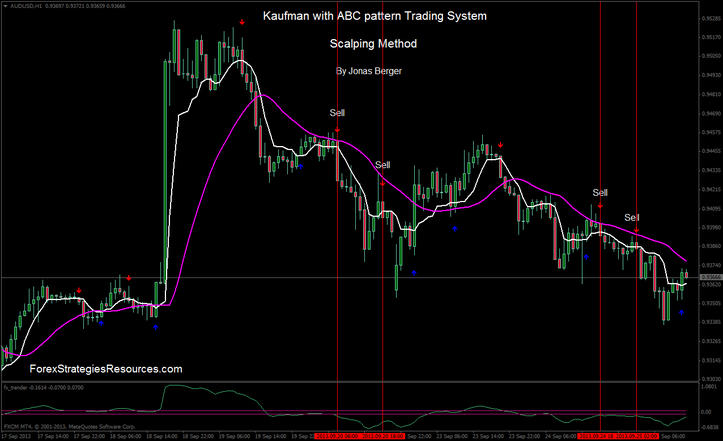 Kaufman with ABC pattern Trading System. ABC pattern forex trading system.